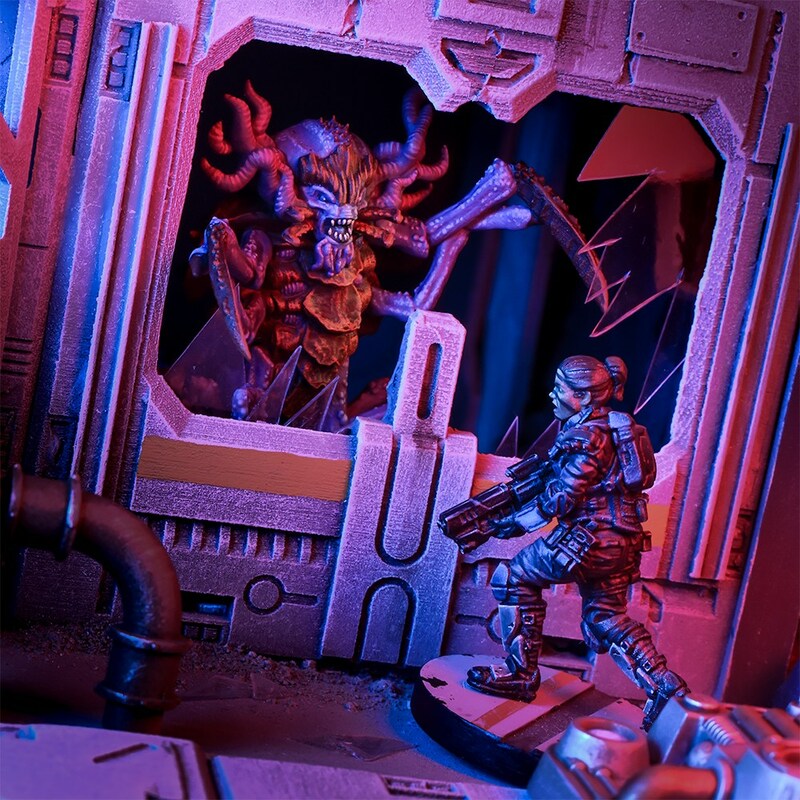 Mantic Games brings you a quick recap of all the goodies from Outbreak Week – check out all the fun changes coming your way! Today, we’re going to look at the new items and abilities that Outbreak brings to the table. Some of these will have been printed elsewhere but have now been included in Outbreak for easy reference. Outbreak introduces four new items that can be found during missions, so alongside the classic ammo, stun grenades, booby traps, etc. you can now find Combat Blades, a Shock Baton, Adrenaline Shot and Stimulant Shot. “But why did you add these items” you may shout at the screen. Well, the main reason is that the original selection of items really only benefited those armies that were good at shooting. A Forge Father Steel Warrior would happily gather up some armour piercing ammo, whereas a Plague Victim would just try to eat it. So, these alternate items can now be chosen instead of the standard item list before you play a game. Each of these use an existing icon on the item counters, so you can easily include them in your games by replacing an existing item, so the AP Ammo counters now count as Combat Blades and so on. The book conveniently includes tables that let you choose or randomise which items you are using in a game. Combat Blades – Nice and simple. These are a one-use melee weapon with Frenzy (1) – handy if you want to augment a combat unit or give a non-combat unit a chance in a fight. Shock Baton – This gives the carrier’s attacks the Knockback rule, but it’s important for another reason. The Shock Baton can negate the effects of Rampage. Stand a unit holding the Shock Baton next to your Plague Victim to prevent it from going too crazy when it is injured. These will be powerful tools for Veer-Myn and Plague players, making some units less of a risk on the battlefield. Adrenaline Shot – Another one-use item, this one gives you a short burst of speed, adding +1 to the carrier’s Speed for this round. If you get one, save it for the late game to catch objectives at the last minute. Or, use it to bring your melee fighters into combat before they’re shot to pieces. Stimulant Shot – This one-use item allows you to add an extra dice to a single Shoot or Fight roll. Great to give you the deciding edge, especially in close combat. The new abilities in the Outbreak book are designed to be used in additon to the ones in the core book. This section adds abilities that have been around elsewhere, like Flight, to completely new ones like Stealthy. Here’s a quick-fire list of some of the fun ones. Aerial Deployment – Deploying with style! After both sides have deployed, you may set the model with this ability up anywhere on the board, so long as it is two cubes away from an enemy model and the cube doesn’t contain an objective. You must set the model up on the highest point (i.e. on the roof of a building). This is useful to deploy surprise threats your opponent can’t account for in their deployment plans. This ability is used by GCPS Rangers as they drop from a Hornet into the firefight, for example. 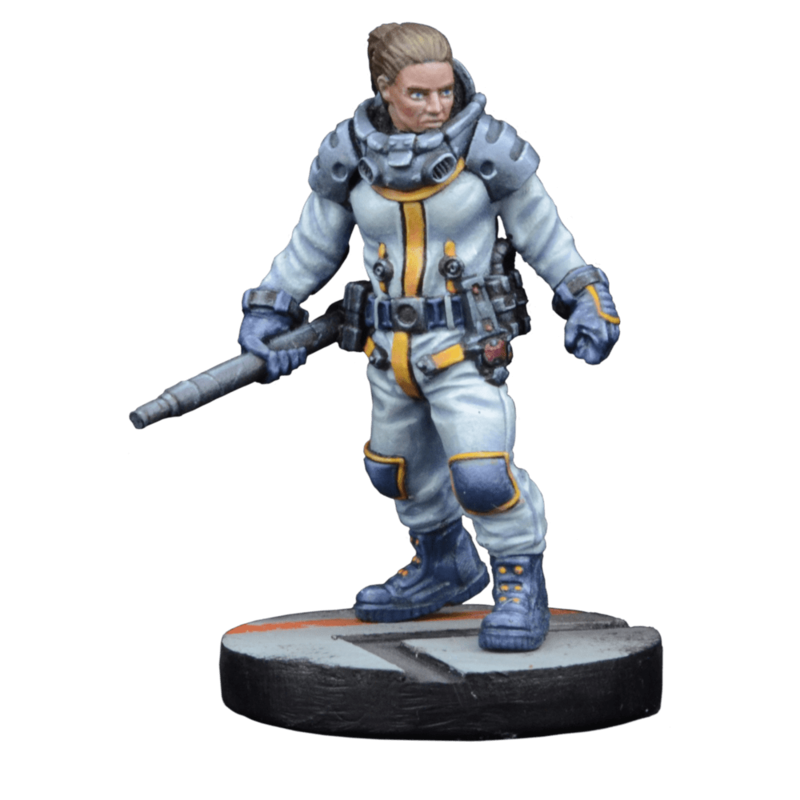 Comms Relay – This handy little gadget counts as having one Extra Activation command dice per round. You can’t re-roll the dice for another result (it’s an imaginary dice) but you get this for free in every round that the carrier is still alive. 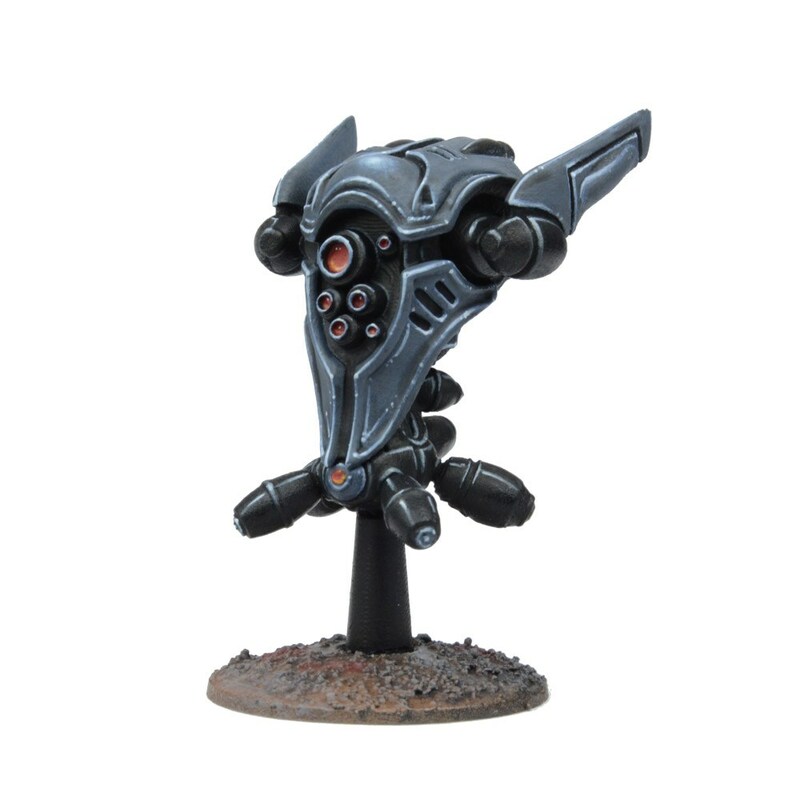 This is employed by the Asterian Support Drone from the Marionettes Sprue. Evade – If a particularly swift model survives a shoot action without being pinned, they can choose to dodge one cube in any direction. This can pull your faster units into cover if they get caught in the open by surprise. Units with this ability include the Enforcer Jetbike, Asterian Sky Razor, and Brokkr Bike. Flight – As more avian creatures are found in Deadzone, their ability to rise above the rest becomes clear. Models with this ability can move up and down cubes without needing a wall, ladder, or ramp to climb. They can also cross gaps on any size walkway without issue. Just note that the model must be physically able to be placed where its move ends – no floating in mid air above the table! This ability is used by a host of units, including the Plague Murderbirds, Asterian Sky Razor, and Enforcer Jetbike. Stealthy – Through technology or other more esoteric means, this model is able to hide in plain sight. Models targeting units with this rule may never claim the extra two dice for a Clear Shot. This ability is used by Nameless Needle Drones, Assassins, and the Terror. There are many more new abilities to be found in the book, plus some errata for existing ones. Some units have now been updated with new abilities, too, so odds are you’ll be using something different on the table no matter which faction you play! 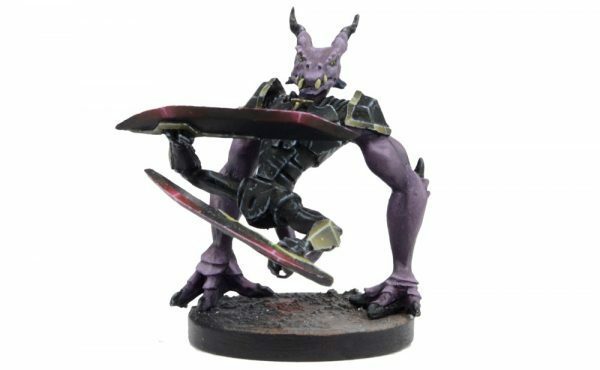 The post Outbreak Week: New Items and Abilities… appeared first on Mantic Blog.